Mid 2010 has seen US Air Force to Launch unmanned and reusable X-37B to orbit from Florida. The Boeing X-37 Orbital Test Vehicle is an American unmanned spacecraft. It is operated by the United States Air Force for orbital spaceflight missions intended to demonstrate reusable space technologies. The Air Force has fended off statements calling the X-37B a space weapon, or a space-based drone to be used for spying or delivering weapons from orbit. X-37B is roughly one fourth the size of the space shuttle. It’s onboard batteries and solar arrays (pictured at left from its NASA days) can keep it operating for up to nine months according to the Air Force. It is similar to the shuttle with payload doors exposing a cargo area, and uses a similar reentry procedure before gliding to a runway. In the case of the X-37B, the vehicle will autonomously return to earth and land itself using an onboard autopilot. The primary landing spot is Vandenberg Air Force Base in California. 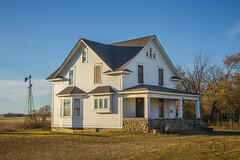 The program was transferred to the Department of Defense in 2004. Since that time the X-37 has become a classified program, raising questions as to whether or not it would become the first operational military space plane. During the 1960s, the Air Force and Boeing conducted research on the X-20 Dyna-Soar space plane. On 17 November 2006 the U.S. Air Force announced it would develop the X-37B from the NASA X-37A. The Air Force version is designated X-37B Orbital Test Vehicle (OTV). The OTV program builds on industry and government investments by DARPA, NASA and the Air Force. 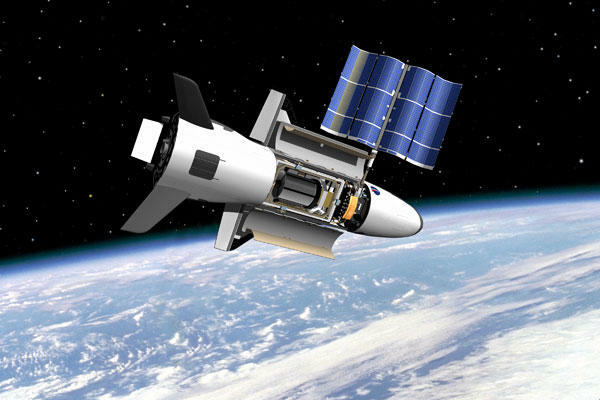 The X-37B effort will be led by the Air Force Rapid Capabilities Office, and includes partnerships with NASA and the Air Force Research Laboratory. Boeing is the prime contractor for the OTV program. The X-37B was originally scheduled for launch in the payload bay of the Space Shuttle, but following the Columbia accident, it was transferred to a Delta II 7920. 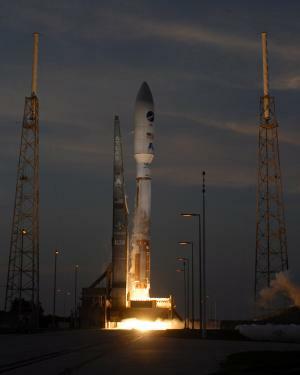 It was subsequently transferred to a shrouded configuration on the Atlas V following concerns over the unshrouded spacecraft’s aerodynamic properties during launch. So, what makes this vehicle different fron conventional satellite? To NASA, the X-37 was projected to be an orbital experimental vehicle to be lifted to orbit by the Space Shuttle or a reusable launch vehicle and returned to Earth under its own power. But, Air Force argues that a vehicle such as the X-37 could be a valuable platform for intelligence gathering with the advantage of a satellite’s point of view, but the flexibility of an aircraft that can be launched relatively quickly and maneuvered in orbit much easier than a traditional satellite. The service directly supports the Defense Department’s technology risk-reduction efforts for new satellite systems. By providing an ‘on-orbit laboratory’ test environment, it will prove new technology and components before those technologies are committed to operational satellite programs.” The X-37 is expected to operate in a velocity range of up to Mach 25 on reentry. Among the technologies to be demonstrated with the X-37 are improved thermal protection systems, avionics, the autonomous guidance system and an advanced airframe. The X-37 has a payload bay available for experiments and other space payloads. It features thermal protection systems that are improved from previous generations of spacecraft. Is this another ambitious NASA project or SR-71 replacement for intelligence gathering or robotic spy?